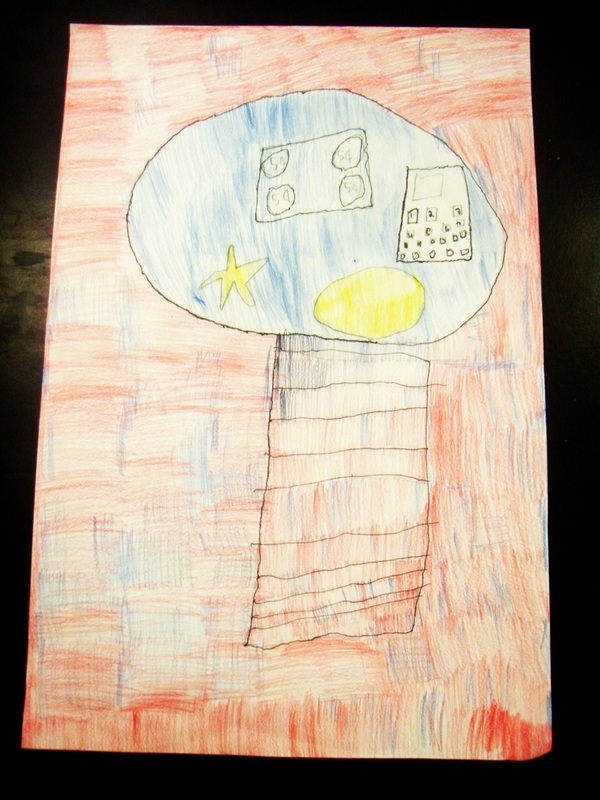 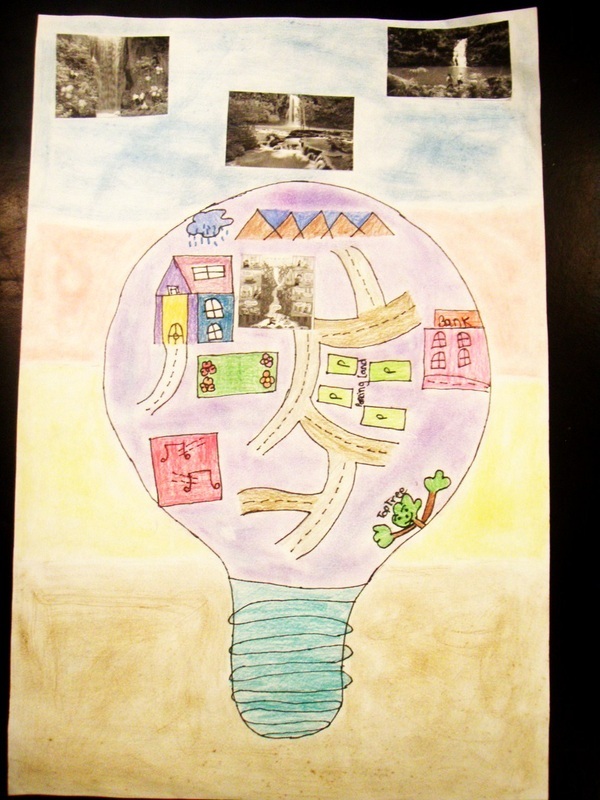 The following slides give the details for our drawing unit, My World in a Light-bulb, where we are exploring the elements and principles of art and design through still-life light-bulb drawings. 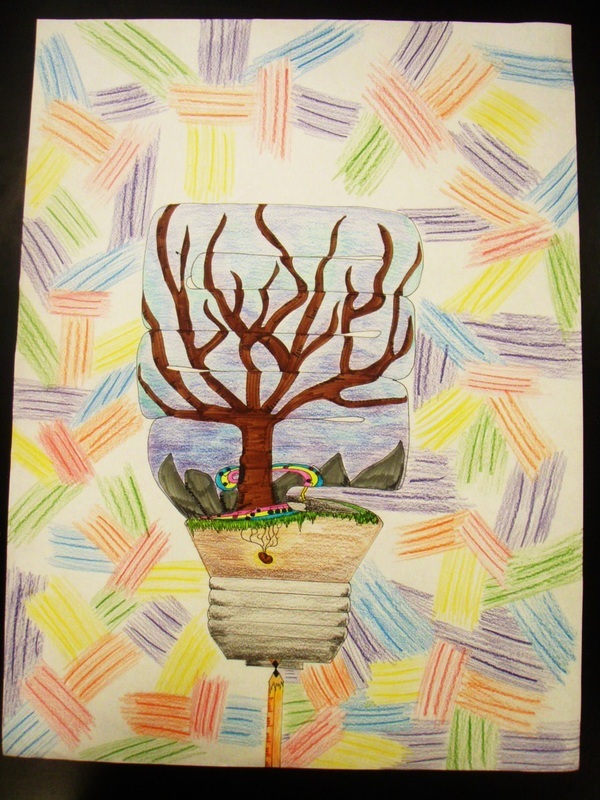 We are also looking inward to express ourselves -- we are choosing and creating a landscape that is meaningful to us, and creating that composition within the construction of a light-bulb. 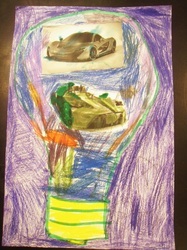 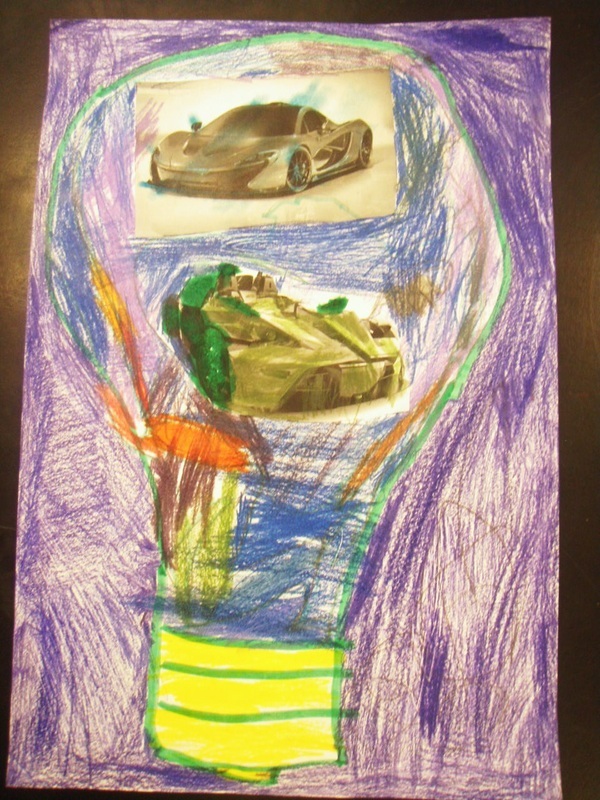 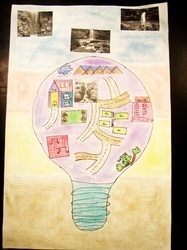 Below are some results from our Light Bulb Landscape unit! 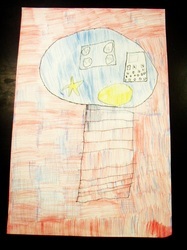 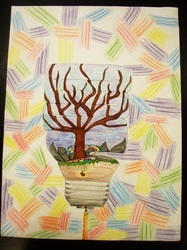 Scroll down to see student work. 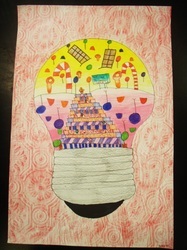 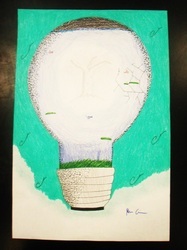 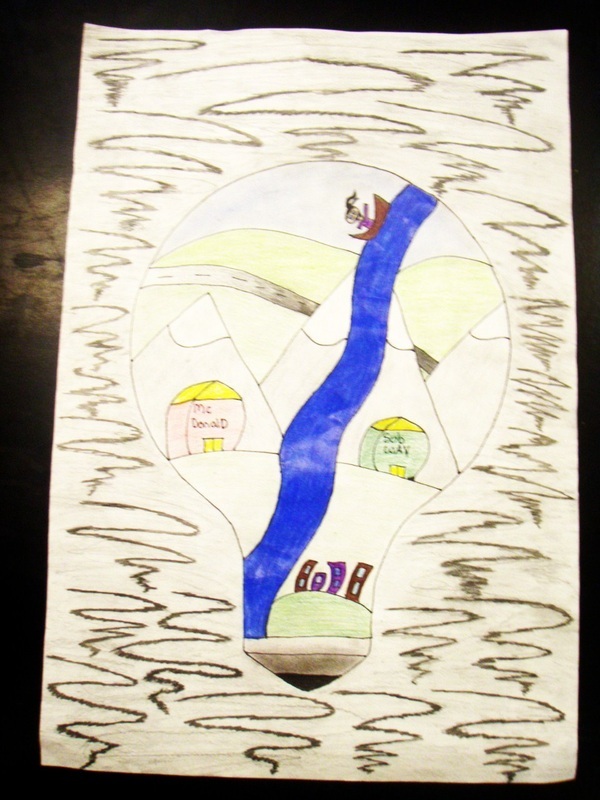 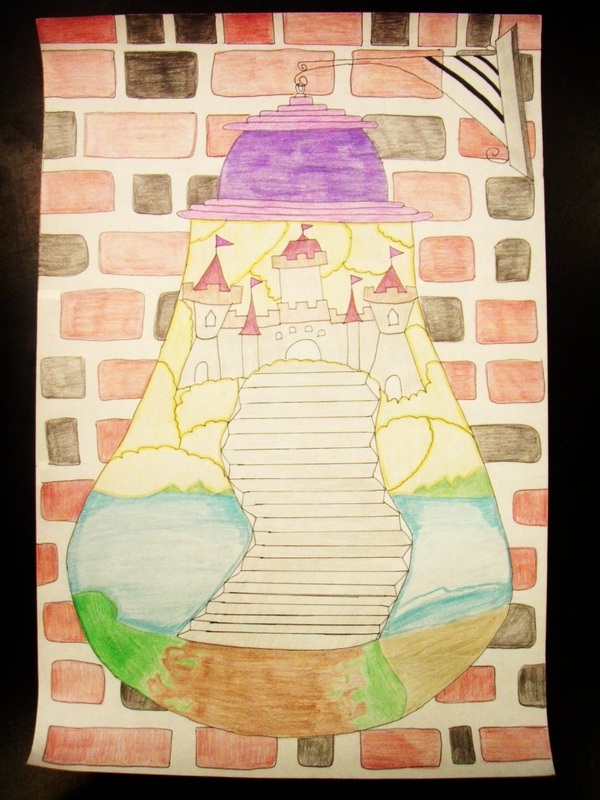 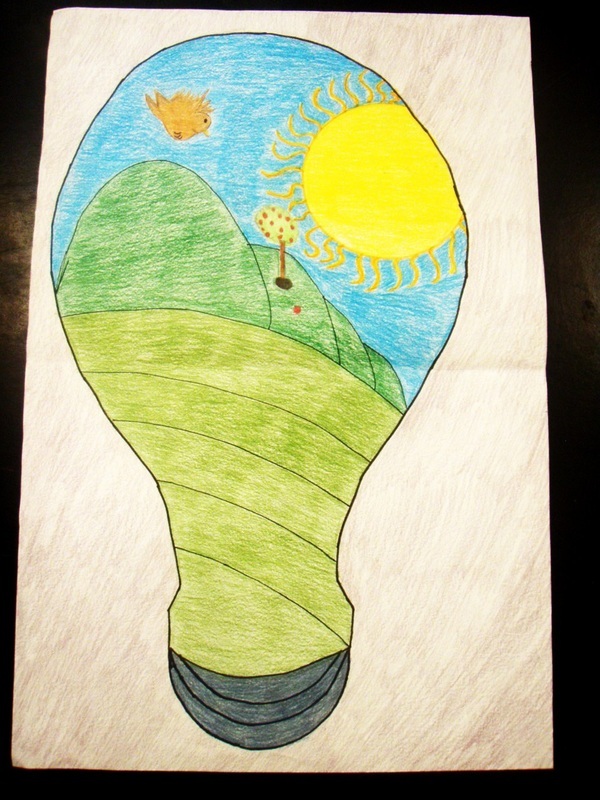 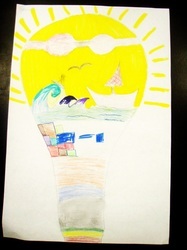 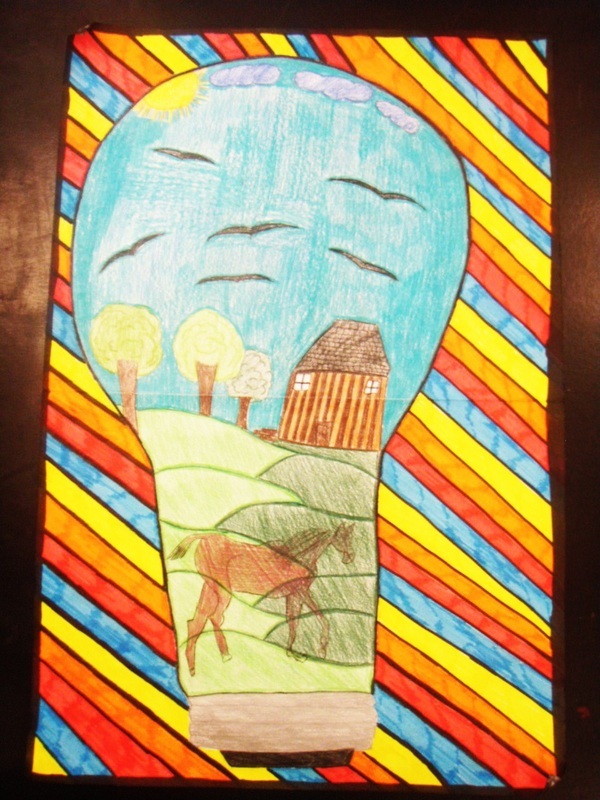 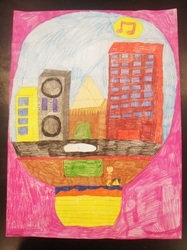 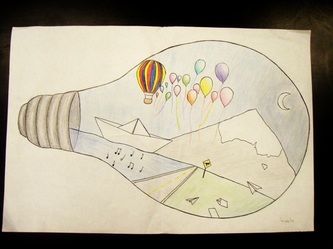 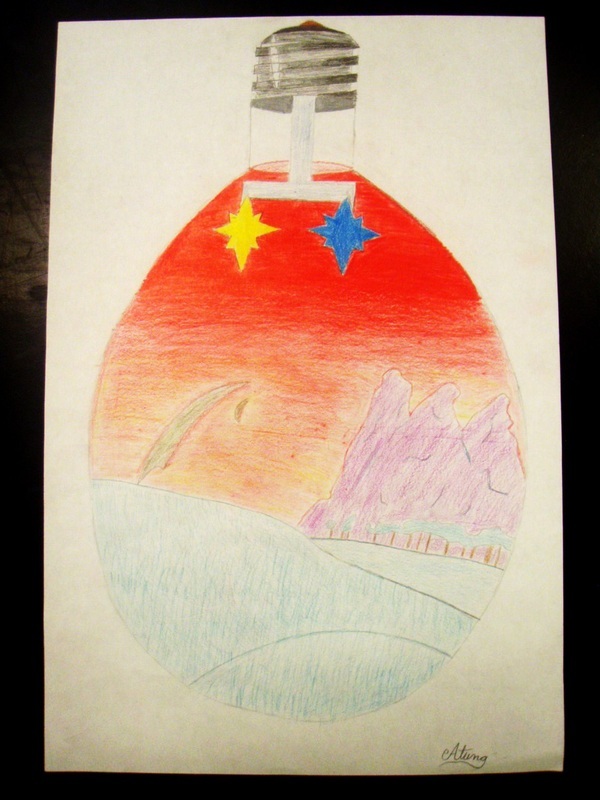 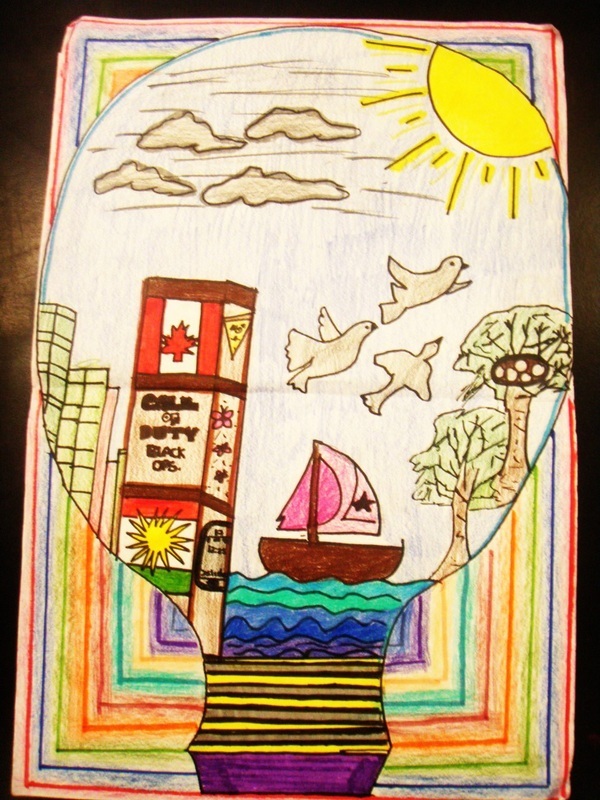 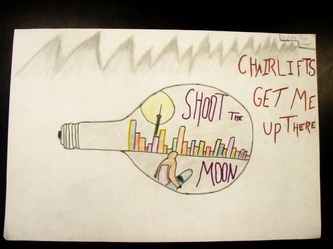 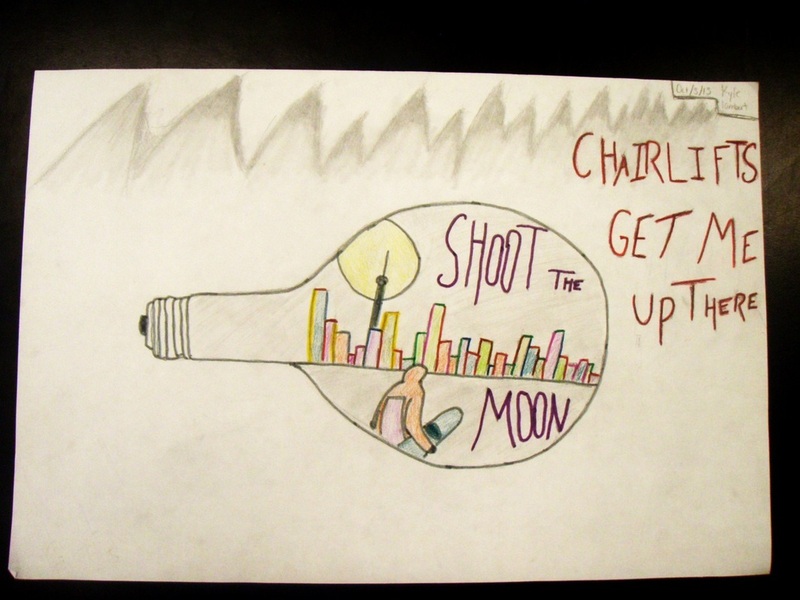 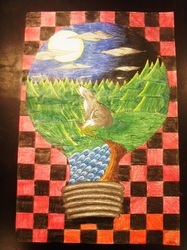 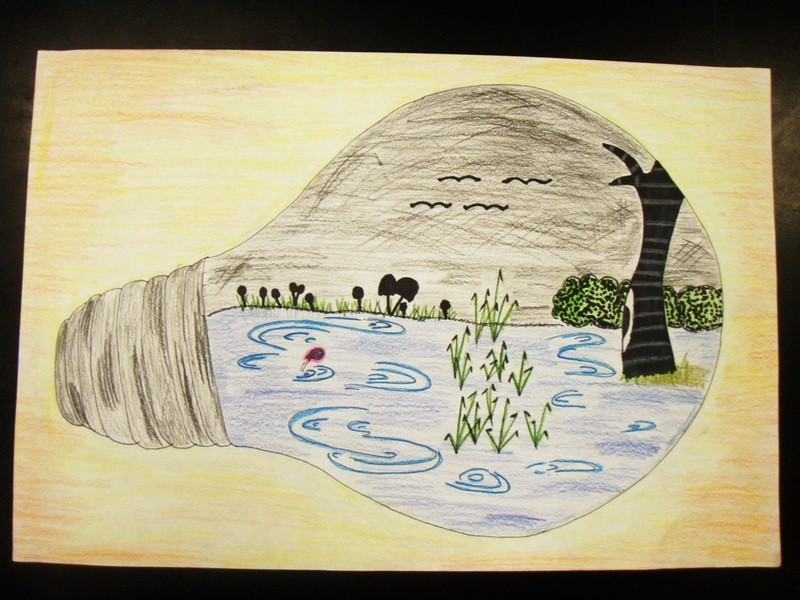 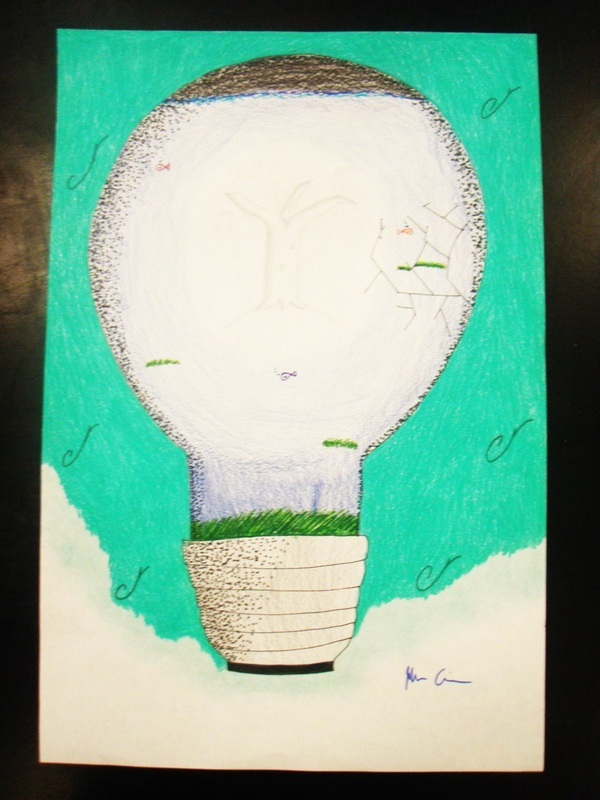 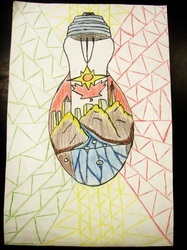 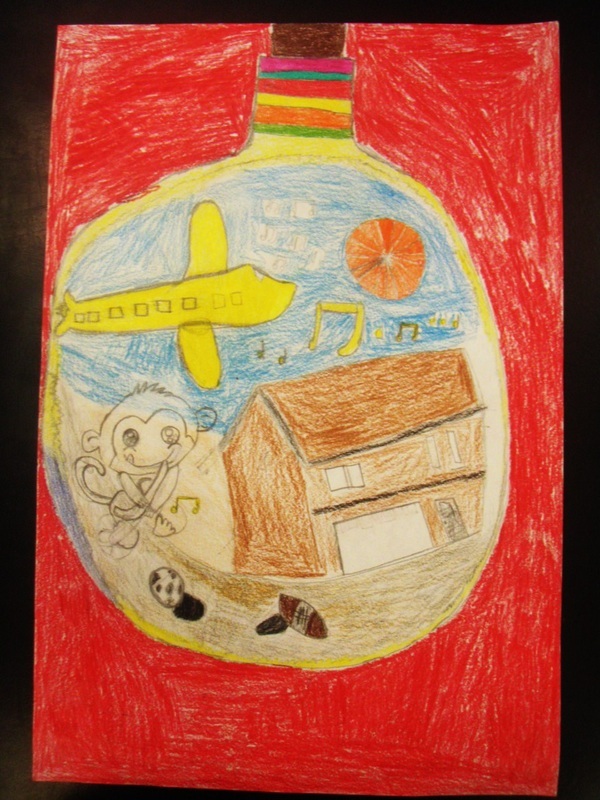 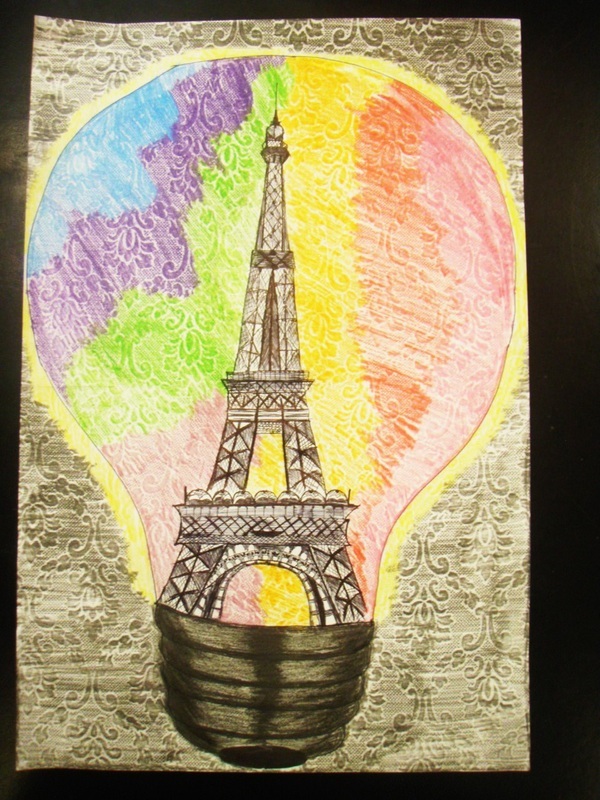 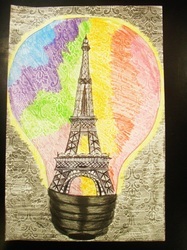 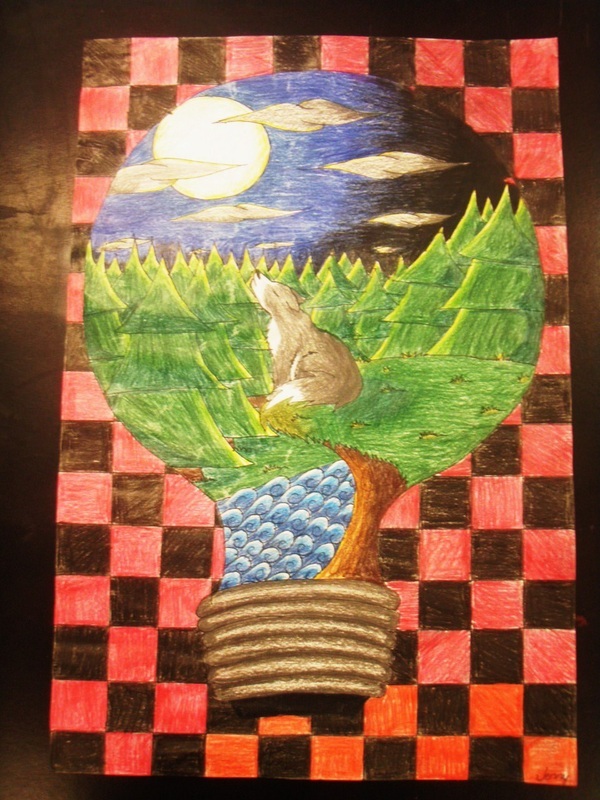 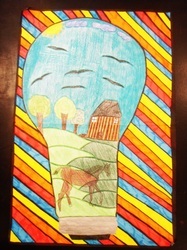 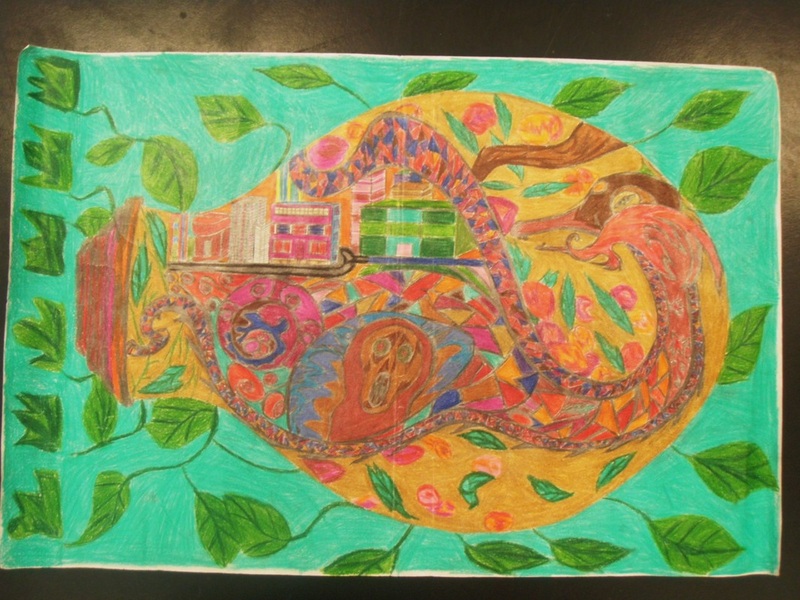 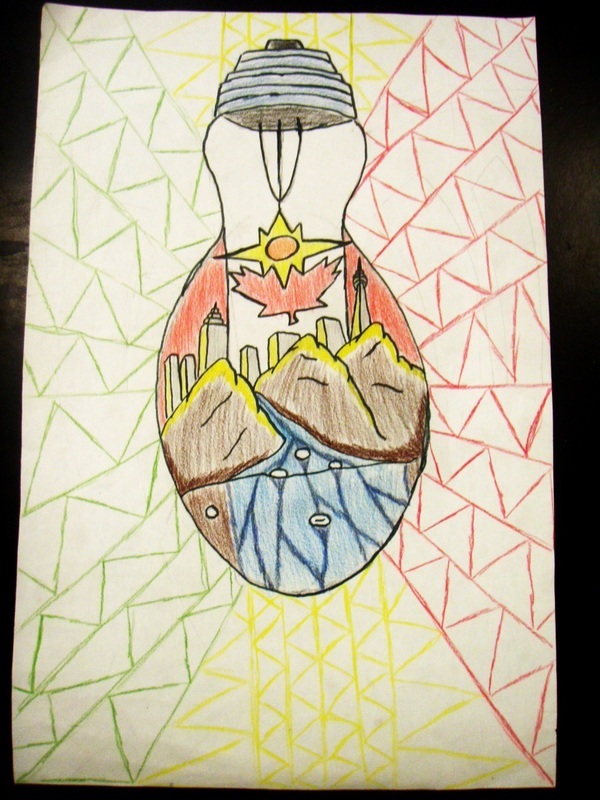 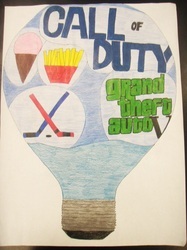 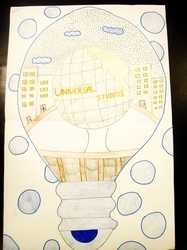 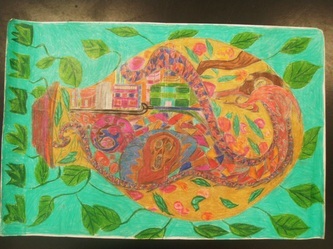 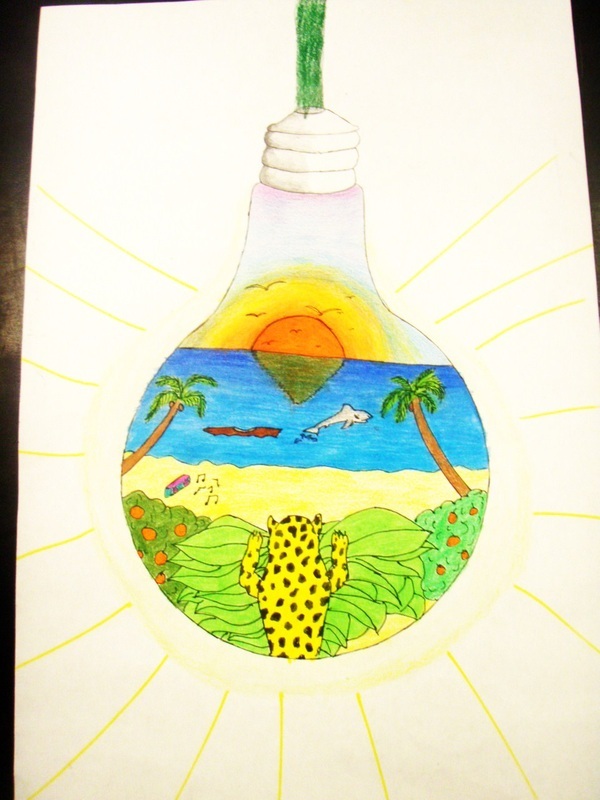 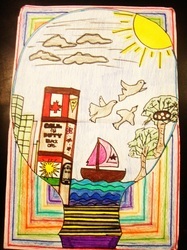 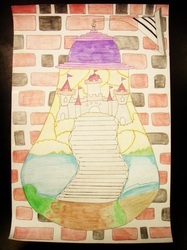 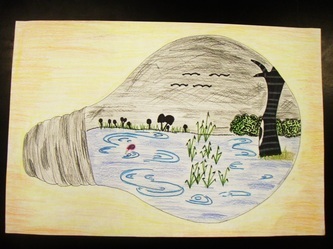 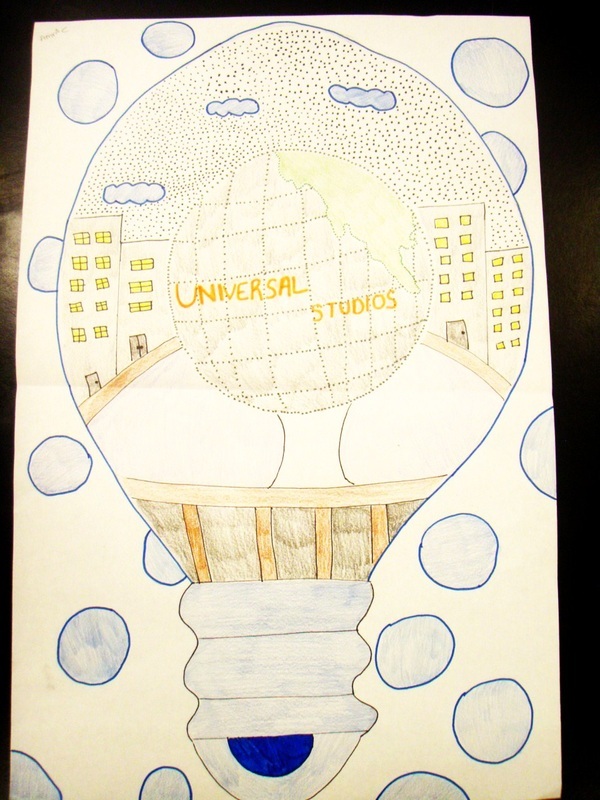 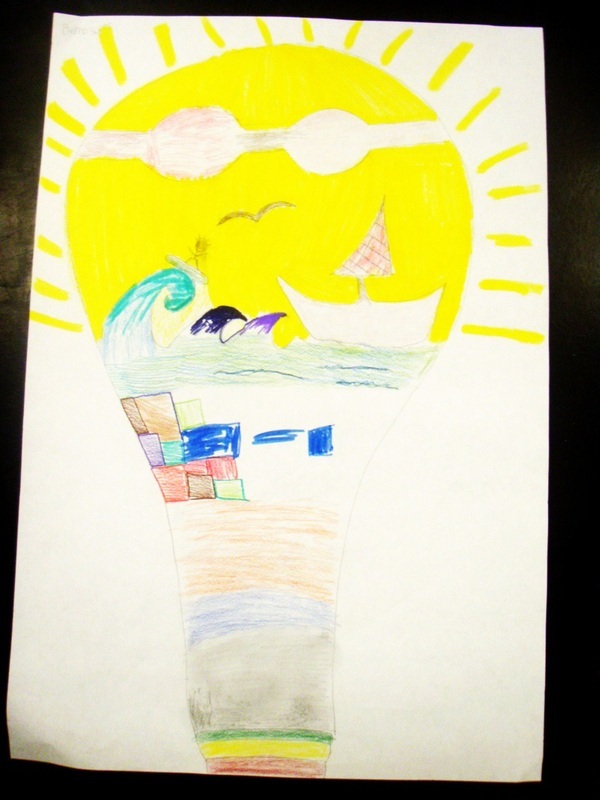 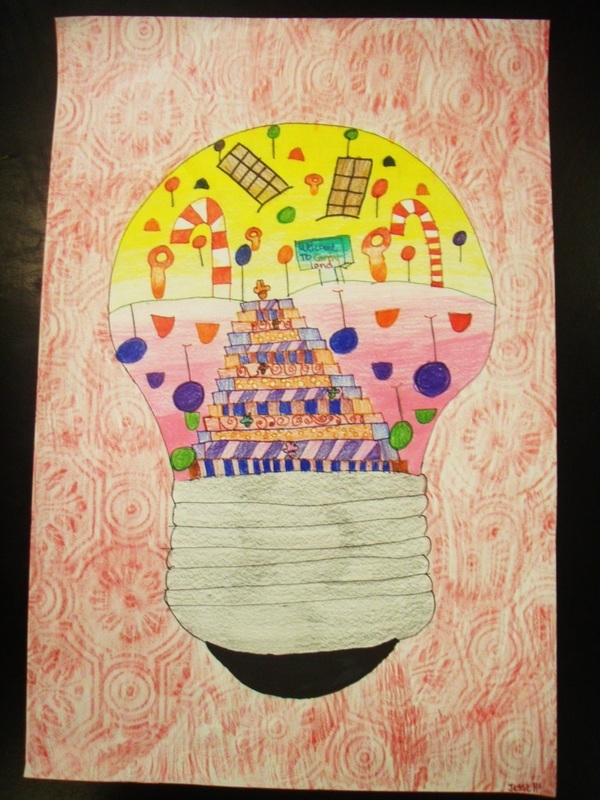 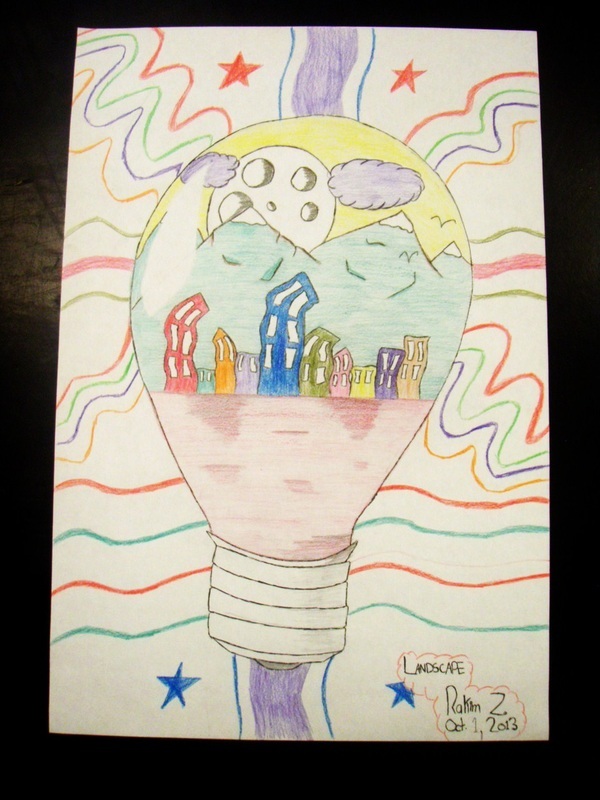 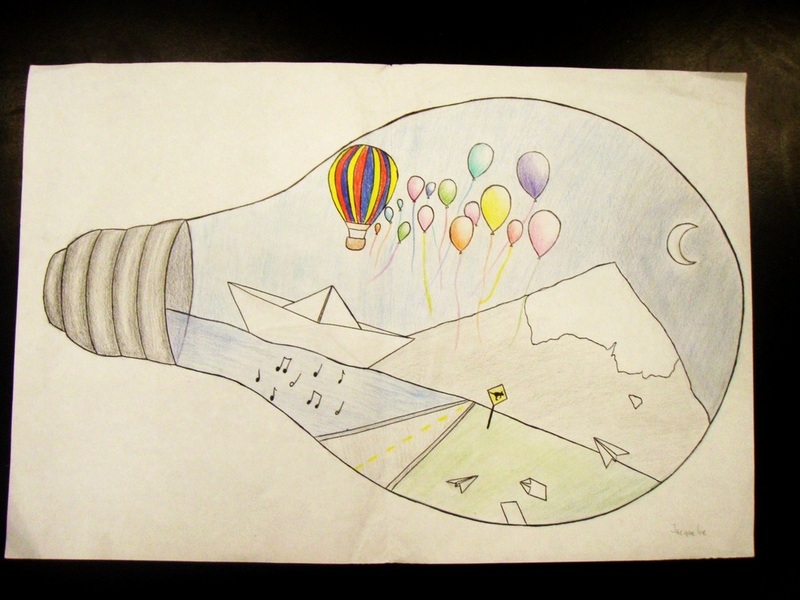 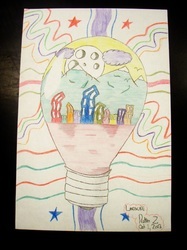 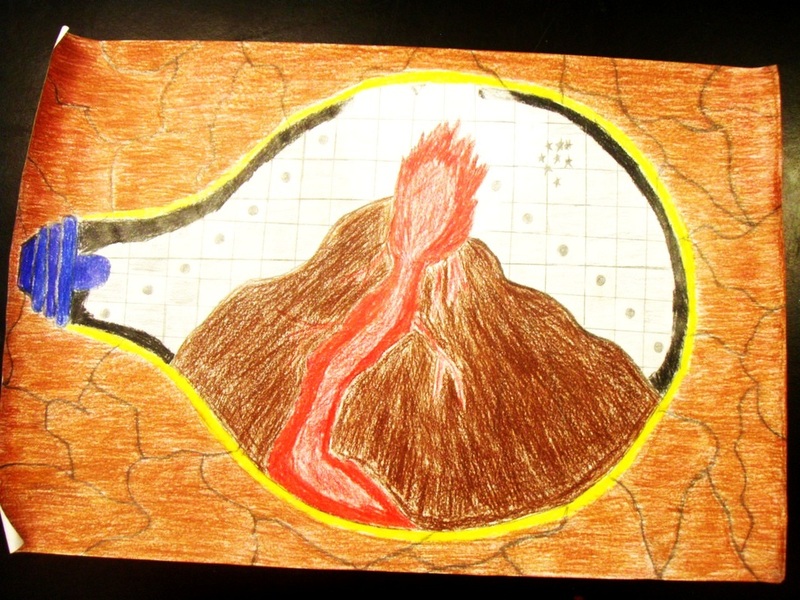 Enjoy some of the personal Light Bulb Landscapes created by the junior Art class! 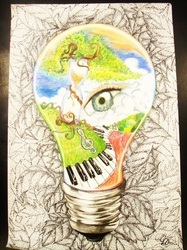 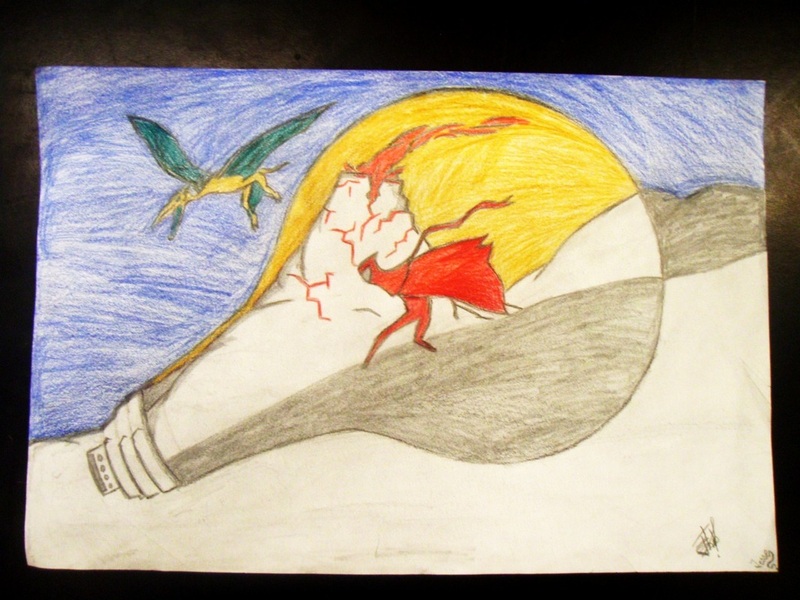 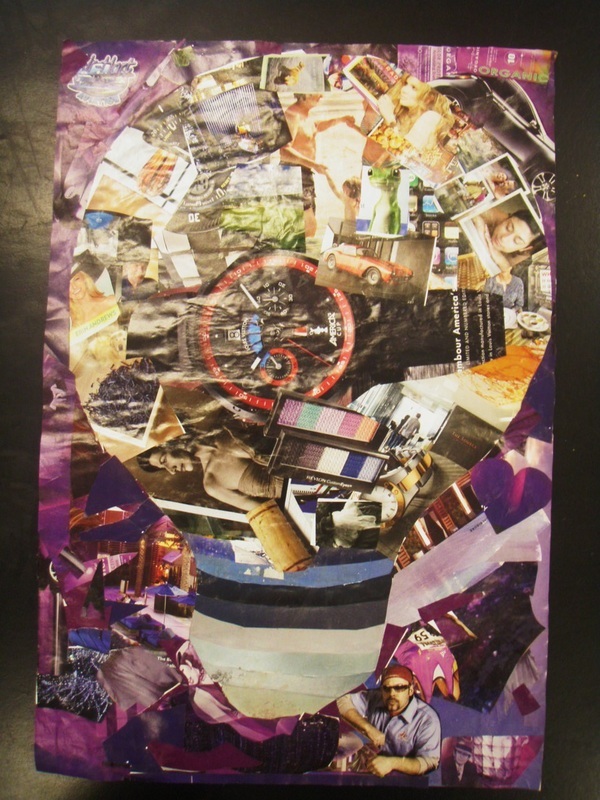 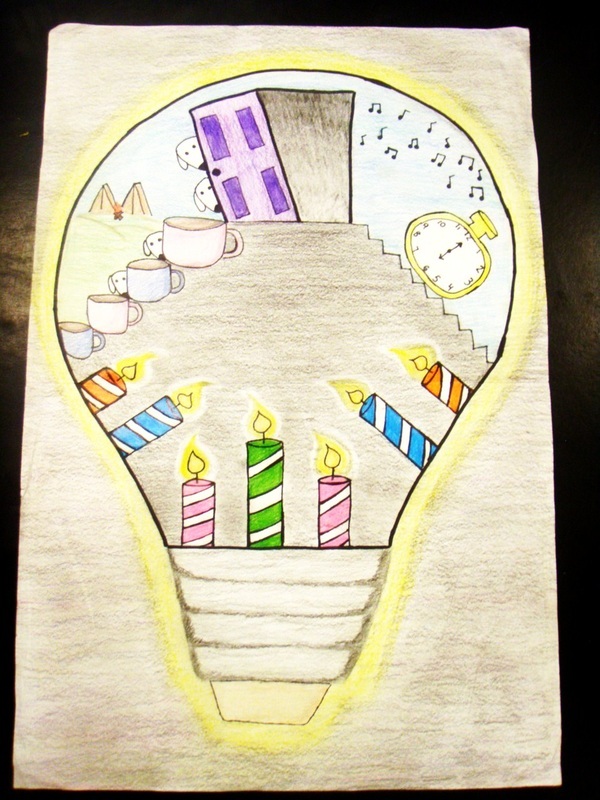 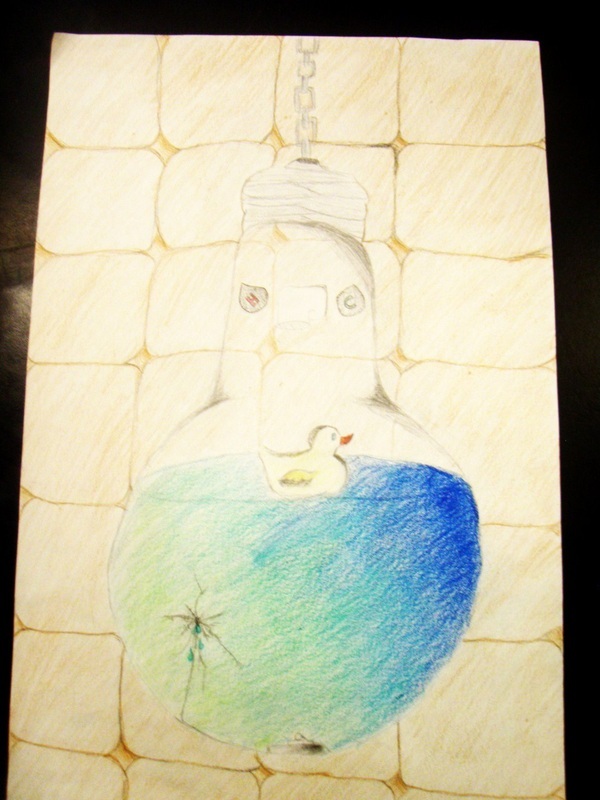 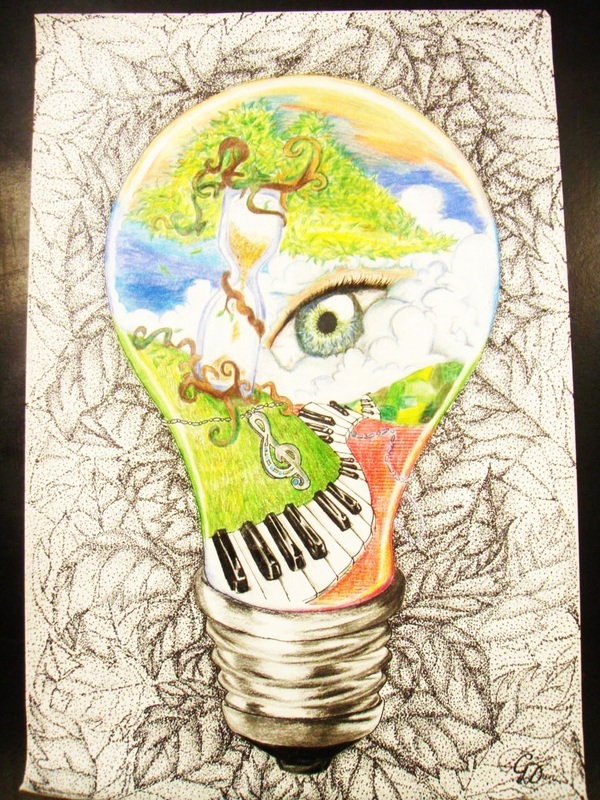 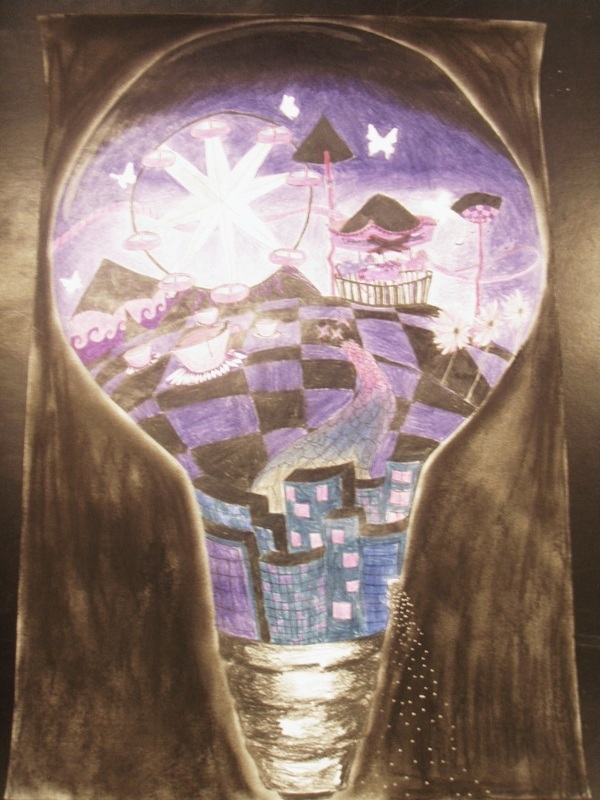 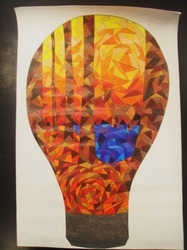 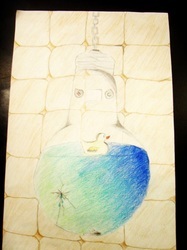 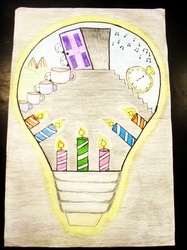 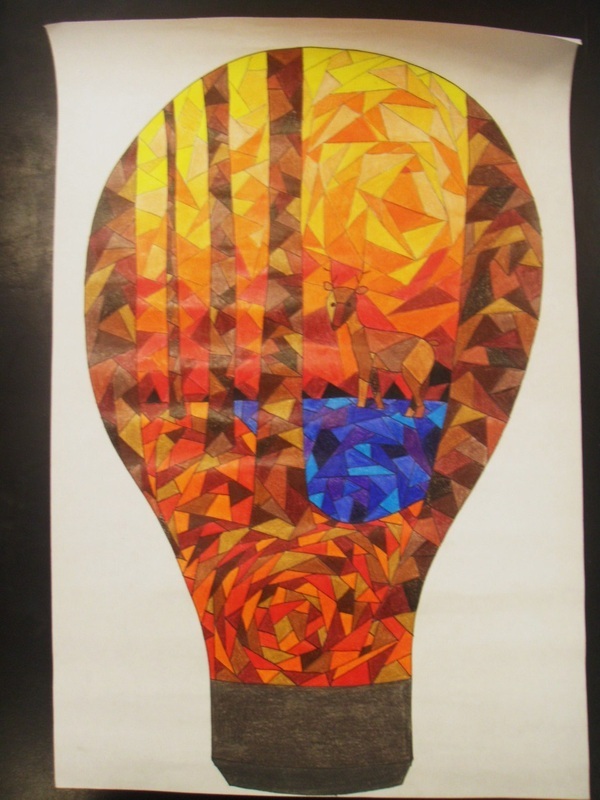 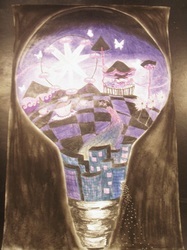 Enjoy some of the personal Light Bulb Landscapes created by the senior Art class!